There is a vast array of canine-assisted interventions being used worldwide with new initiatives being developed daily. Different organisations and individuals will have varying information and specialisations. There are two main types of working Dogs i.e. 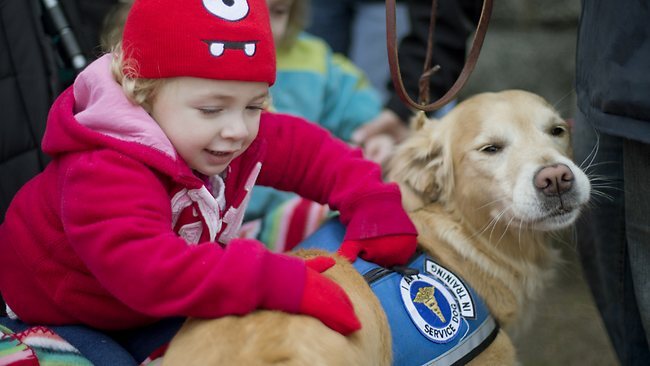 Therapy Dogs and Assistance (or Service) Dogs. 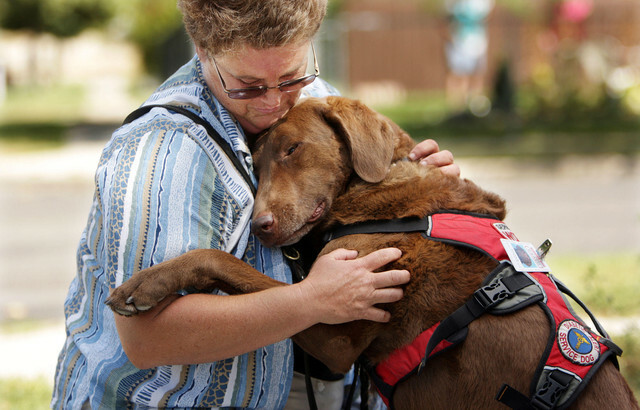 Animal-assisted therapy (AAT) utilises animals/dogs in therapeutic work with humans. There are many ways that dogs can be included when working with humans’ (e.g. rehabilitation, physiotherapy or occupational therapy, counselling, learning life skills and disaster relief). When a professional incorporates an animal into their therapeutic practice, they find ways of allowing the animal to extend and facilitate their goals, based on their training and theoretical orientation. A counsellor may incorporate the use of a dog to explore and draw out issues of anger or attachment. Physical therapists may use handling of a small animal or grooming a horse in a motor-skills programme, or dog walking in a fitness or strength-training programme. In Animal-Assisted Therapy, the therapist will identify the therapeutic or clinical goals, and use the animal to help them achieve these goals with clearly defined and measurable outcomes. Animal-assisted activities (AAA) are less formal and are carried out by volunteers to help someone feel the benefits of canine care in less formal ways (e.g. visiting nursing home or hospitals). What’s the difference between Therapy Animals & Assistance Animals? Perform a range of physical tasks for people, such as picking up objects, opening doors. Detect early signs of seizures or blood sugar changes and alert their owners. Assist children with Autism Spectrum Disorder. 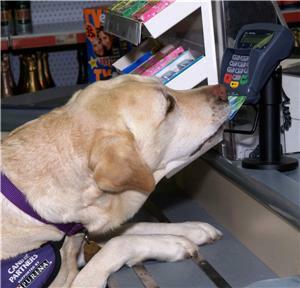 Assistance dogs can be registered in most Australian states under Guide-Dog or Anti-Discrimination legislation. Because of their important functional and often life-saving roles Assistance Dogs may be granted 'public access', legally allowing them access into public buildings, transport, restaurants and hospitals, anywhere their owners go. This legal right does not extend to pets or other animals used in AAI programmes. Whilst therapy dogs are able to receive training, registration or certification for insurance or legal purposes, they do not perform life-saving functions and are hence not allowed 'public access'. Such registration is used to ensure a basic standard of training and reliability for dogs and their handlers. Example: A dog certified as a 'Victorian Canine Association Therapy Dog' is assessed as suitable to work with children and elderly but is not registered as a therapeutic assistance dog that performs a life-saving or health-saving function for his owner. For this reason, he does not have the right to 'public access'. NB: To find out more about these extraordinary dogs and their amazing work just check out this website. Service Dog Etiquitte: Hey, I'm workin' here! When I grow up I want to be - A Guide Dog!